Can You send me a length and thread pitch please? cc me on that too. Hemi, can you get them heat treated? I have an oven at work. Last edited by CudaZappa; 04-28-2011, 12:22 PM. The bolts I'm trying to get for him are factory bolts. It might be better for him if you have a couple for him that you can warm up. Let me know pls. I am very thankful for your help in trying to locate this bolt. It is not an easy task as I am finding out. The bolt is a 9/16 National Course - 12tpi, it is 4" long from tip to tip. The bolt looks like a grade 5. Is this what you needed? Done for the day. Sanded down and repainted the firewall that didn't fare so well the first time. This looks much better but at last I am not a painter. 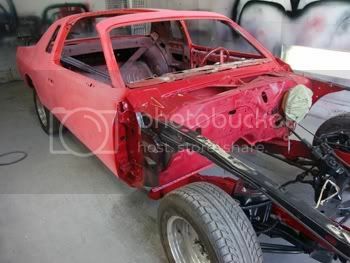 More clear was added this time around and it looks ten times better but when it comes to the whole car I think a professional is the way to go. 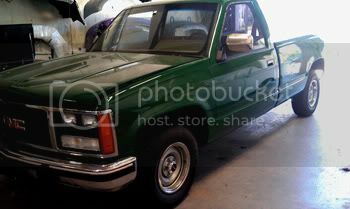 I will try next week with my pickup truck. It that gets screwed up - oh well at least I tried. Heading north for the weekend be back at it Monday. Have a great weekend everyone !!! Resanded the firewall and preped for paint. We have a Fastenall store about 5 miles from me, I just called them. If you have a Fastenall store near you, the bolt you need is part number 13269, grade 5, zinc plated and only $2.21 each. no store near you? 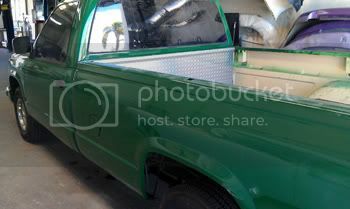 Go to WWW.Fastenall.com and they will take credit card and ship to you. The Kansas City warehouse for them is showing 505 of them on hand. I've got a pair of factory Mopar ones in my truck now. Bolts and blocks. I'm gonna clean 'em up on Monday. And no, it won't work. Factory is fully threaded, 3 3/4" lg, and its hardness exceeds grade 8 Requirements. Also has a handy rounded lead for the adjuster so you can get them out and loose them after use. So, did you get the bolts you needed? Sorry - on two accounts - One that is has been a month since my last post and the 2nd because some of the pictures attached are not mopar. I know shame on me. 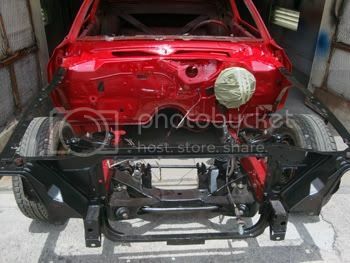 I left off with the car needing some prep work before the final paint. 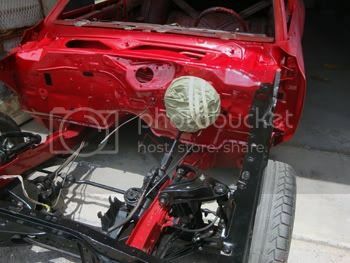 The attached pictures show the car in the paint booth after the front clip, fenders, hood and misc. 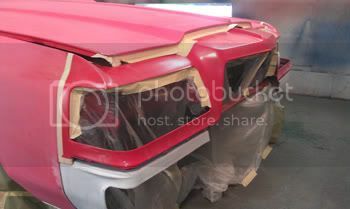 plastic pieces were installed. As some of you may be aware I am not an automotive expert. I wish I was but it can be an art and I don't have the time to master the trade so before I paint the Magnum I thought maybe paint something else first to see how it comes out. Test the waters.. 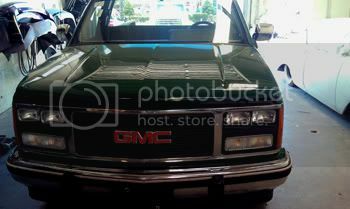 I choose my 1989 GMC pickup. 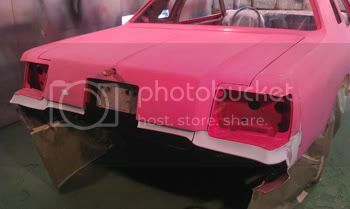 The pictures are not mopar but they are in the name of helping my cause to make for a great looking mopar so hopefully you all cut me some slack( I am only showing the paint before buffing because it is not a mopar). 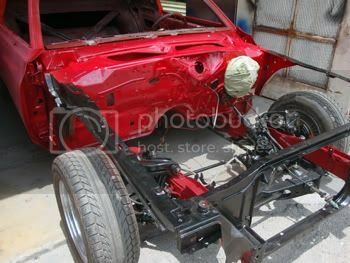 The paint is not too bad for a single stage -green but at last as hard as I may try I am not painter. 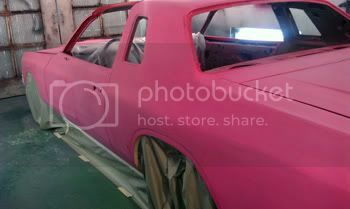 The magnum will be painted by a professional. 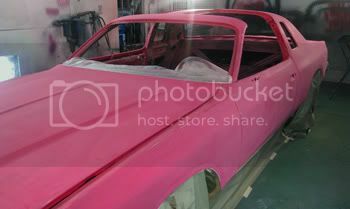 All the prep will take place this week and L&S will end up shooting the final paint. There is just too much to understand when it comes to jet pressure , mix , weather , etc.. It took two times with the green on single stage so not interested in messing up the magnum. 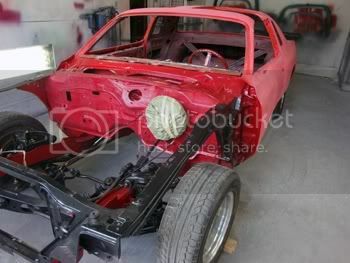 Should be a good week or two as the paint starts to get put down. The motor gets put in and the finer details get started. Fingers crossed that I am not called out of town again this month.. I think you are doing a great job! I love what you've done so far. I had a deep chocolate one when i was in the military, it had big gold flakes. I put a 340 out of a 74? roadrunner in it and my dad tuned it up, you could stomp on it at 35 mph and it would turn sideways. Man I loved that car and am looking for one now. nice pics.